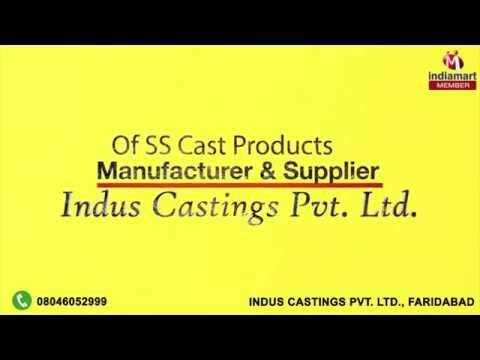 Welcome to Indus Castings Private Limited, established in the year 1988, we are engaged in manufacturing and supplying a wide range of the premium quality of SS Cast Products. Inclusive of Heat Resistant Cast Products, Stainless Steel Cast Fixture and Cast Stainless Steel Products, we offer a wide range of castings. Owing to their rich features such as resistance against corrosion, sturdy construction, durability and ability to withstand high temperature & stress, these nickel chrome alloy steel castings are highly appreciated in various industrial applications. The offered nickel chrome alloy steel castings can be customized as per the requirements and specifications provided by the customers. For meeting the predefined business targets and organizational goals, we have established the infrastructure facility to meet the requirements and expectations of our valued customers. In addition to this, the offered castings are rendered by us at industry leading and most economical pricing.